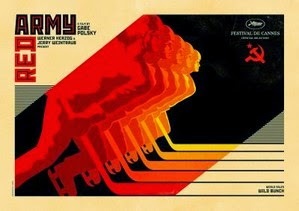 The first time the ice hockey film “Red Army” caught my attention in November 2014, an NPR reporter teased the documentary’s many attributes. The New York Times also ran a positive review, and I enthusiastically geared up to see this Olympic-centric story without knowing a long, patient wait-time would ensue. The three-month hold provided a taste of time inside a rink-side penalty box. Lots of action “out there” for would-be patrons of the film, but no way to engage. The long wait is finally over as “Red Army” finally reaches the big screen in Atlanta this weekend (March 13-15) for a limited engagement at Tara Cinema 4 (see other city premiere dates here). Fortunately, with the help of the film’s publicity team I was able to screen the film last week. 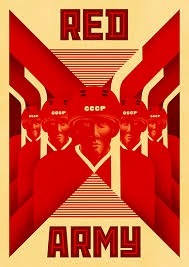 I thoroughly enjoyed “Red Army” and recommend it for many reasons. 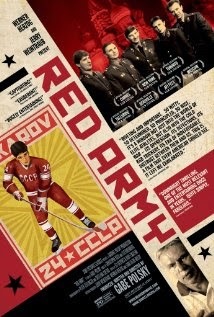 Though it starts with a slow-ish pace that initially rolls like an ESPN “30 For 30” episode, “Red Army” gains momentum about 40 minutes in, stealthily setting up several “a-ha” and cheer worthy moments like the masterful on-ice goals crafted by the film’s star players. 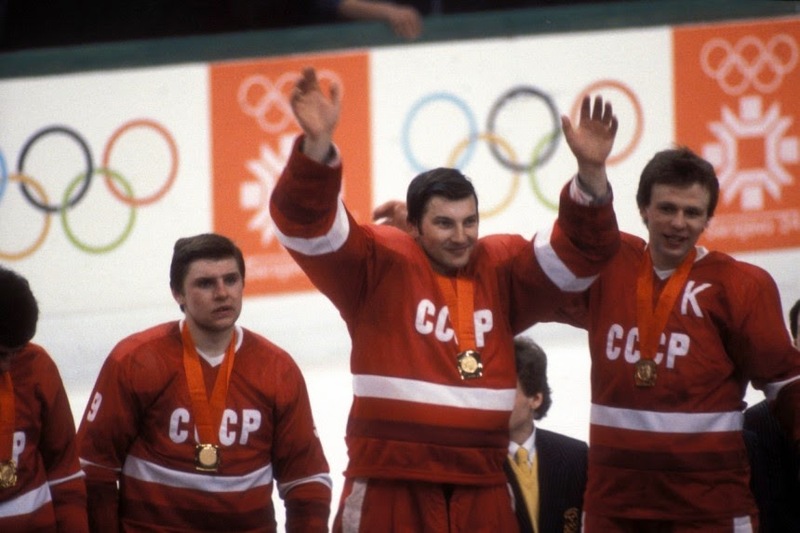 These stars are Slava Fetisov, Vladislav Tretiak and other Russian hockey legends who – under the tutelage of domineering state-employed coaches – emerged as the Soviet Union’s biggest hockey heroes. The narrative is mostly built around Fetisov, who first appears stating he is “busy” while studying text messages on camera. He sternly gestures “the bird” to his interviewer who did not take the hint to please hold questions. 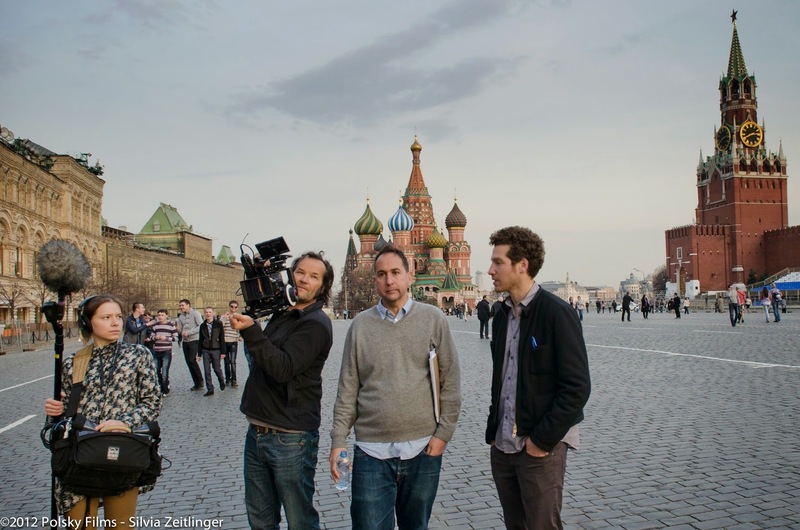 The director and interviewer is Gabe Polsky, whose bio states he’s a Chicago native and son of Soviet immigrants. His resume blends college hockey experience with big screen know-how. As Polsky chuckles about Fetisov’s middle finger, the hockey star’s career creds fill the screen by the dozen; here’s a guy who knows hockey and may be history’s greatest player of the game. Viewers learn how the rink sport emerged as the most watched athletic spectacle of Soviet culture and how the national team grew to dominate international tournaments through innovative training techniques including study of chess and ballet. 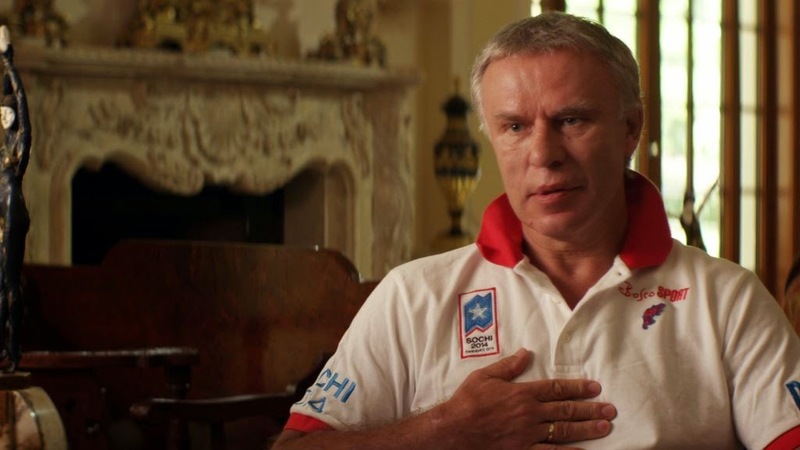 The touchy-for-Russians subject of Team USA’s “Miracle On Ice” victory at the 1980 Lake Placid Olympics, displayed through tightly edited cuts of archive footage with Al Michaels’ famous play-by-play, brings viewers to a Soviet hockey “reset” moment that forever changed the lives of Fetisov and his teammates, mostly for the better but often with personal turmoil at the hands of coach Viktor Tikhonov, who managed four Olympic teams to three gold medals in 1984, ’88 and ’92. He’s the main bad guy (among several, including top brass of the Soviet military) who would not go on camera for “Red Army” before his death in November 2014. I loved learning more history of the final decade of Communist Russia on ice, its evolution through the early ’90s and transformation in recent decades and the hockey players’ roles as knights or rooks (but mostly pawns) influenced geopolitics, Olympic hockey and the NHL. It was also fun to see how the “Red Army” team set up later sports moments including Russian stars of the Atlanta Thrashers and other NHL team selections. And I had no idea Fetisov later played for the Detroit Red Wings with a former Team USA foe from the Miracle On Ice in the same locker room. The motion graphics created for “Red Army” really pop, and their use helped me understand aspects of hockey I did not previously notice. The player and coach “trading cards” with Soviet era colors and animation also helped this viewer keep track of several unfamiliar Russian names and faces. But the biggest payoff may be the lessons in perseverance and personal relationships – it was pleasant though not surprising to find Werner Herzog, a champion of stories about innovators under duress, shared an executive producer credit. Watch for the lifelong friendships put through the wringer, and for a mid-century icon who reemerges to save one’s spirit in the nick of time, as bonus takeaways. Bottom line: Skate on over the blue line and score a win with tickets to see “Red Army” a great film about hockey and several extraordinary lives. Images via Sony Pictures Classics except the Sarajevo gold medal photo from this site.